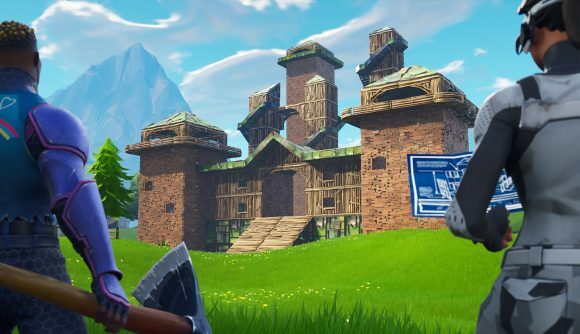 Fortnite’s last patch brought custom options to tweak your Playground matches – at least in theory. Custom games were quickly disabled after the initial launch, but now they’ve returned for real. You can tweak everything starting health to gravity, and even remove fall damage if you find yourself a little too accident-prone. You can get into a custom game by selecting Playground as normal from the game mode menu. Once you do, you’ll find a new box that opens up the custom options menu. Tweak those settings to your liking, hit accept, and you’re good to go. Starting shields can be set to empty, half, or full. Starting health can be full, half, or one. You can toggle whether items drop on death. Fall damage can be turned on and off. Gravity can be set to normal, low, or very low. You can lock time to day or night, or leave it on a cycle. You can also decide whether names are displayed for teammates or everyone, or disable them altogether. While the default options are your best bet for Playground’s primary purpose as a practice mode, the ability to tweak those parameters for unique shenanigans is much appreciated. If you’re looking to get those weekly challenges done, check out our guides to Corrupted Areas locations or the week 2 secret banner location. There’s plenty of time left in season 6, but you don’t want to start falling behind on that Battle Pass progression.